Abi–Tech, based in Singapore, is one of the leading custom software development companies offering outsource custom software development, enterprise software products and consulting and professional services. Whether you are an enterprise, organization, SME/SMB or just starting up, we help you build powerful custom and secure software solutions for a rock–solid business foundation. We understand that every business is unique in itself; our custom software solutions can fix specific problems right from the onset, meets your exclusive requirements and makes your workflows faster, easier, extremely streamlined and highly efficient. · Our bespoke software build gives you complete flexibility, reduced information security risks and tailor–made maintenance and support. · We are driven by a highly competent team of professionals who are highly conversant with and speak the language of software development. 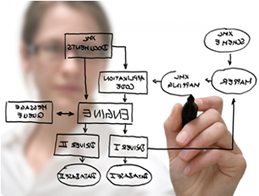 · Range of custom and on–demand coding skill sets. Our team gets to the core of your product to identify the key issues interfering with its everyday performance, proposes solution or adapts to the modifications, as required, to get keep you up and going. We also help you redevelop your software product to manage the load, scale up your business rapidly overcoming barriers with our solid domain knowledge, well–thought–out and reviewed architecture and granular approach to development. 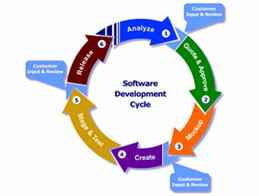 Our custom software development starts with our R&D and BA experts working on competitive and market analysis, Proof of Concept (POC) & feasibility, technology and business innovation, development of a multi–platform strategy, selection of proper tech stack and establishing scalability and security roadmaps. We also choose the right project management methodology with a deeper level understanding how it can have the greatest impact on the product built, whilst reducing risk and achieving project deliverables and objectives at the same time. Our software product development methodologies are accentuated by accurate budget estimation, ideal prototypes for any detailization level, and extensive coverage of the required features within the scheduled time frame. Abi–Tech is a highly User Experience (UX) centric company focussed on Usability Consulting, User Interface Design, Interaction design, Usability testing, Responsive design, Usability testing, Wire framing and Design & Prototyping. 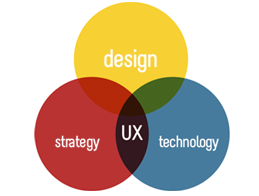 Remember UX has turned out to be a crucial factor in determining the success of the project at any level; therefore, it is important to ensure that the resulting UI is extremely usable across all platforms and devices. Enterprise–wide application integration is critical not only to optimize your IT landscape, but also take stock of new marketing and sales channels, and gain business agility. 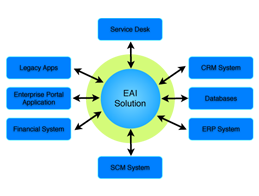 We at Abi–Tech help enterprises clock accelerated business growth with our Enterprise Application Integration (EAI) services with innovative models and new architecture such as event–driven architecture and microservices to dynamically enhance infrastructure. While it can be highly difficult for service seekers to pick the right software development partner because of the sheer number of choices available, talking to us can be worth your time and effort. If you are looking for the right custom software development company in Singapore for your next project, be it is web–based or application–based software tool, don’t go any further than Abi–Tech.